Today I’m excited to interview Jennifer Nielsen about her book THE FALSE PRINCE which was released on April 1, 2012. I was so excited when I e-mailed a publicist at Scholastic and she sent me the book. Guys, I LOVED this book. Like in love with it. (Please don't tell my husband that.) It so reminded me of Megan Whalen Turner’s THE QUEEN’S THIEF series with all the political intrigue, deceit, and the main character Sage, a totally self-assured guy who’s resourceful and never afraid to speak his mind. I can’t wait to read the next book in the series. Hi Jennifer. Thanks so much for joining us. About me, hmmm. I’ve lived in northern Utah for my entire life, but I love to travel anywhere. I don’t have a firm opinion of whether hiking in the mountains beats out lounging on a beach, but I definitely think they’re both better than laundry at home! I have three kids who keep me entertained, and an amazing husband who tolerates all of my quirks. Also, it’s very important to add that I can be bribed with chocolate. I’ve always written stories, but didn’t think seriously about becoming a writer until my adult years when I was a new mom staying at home. To fill the quiet times, I did a lot of reading. And it wasn’t too long before the reading didn’t satisfy my imagination. It was no longer enough to read someone else’s stories. I wanted to create my own. So I began writing and have never looked back. 2. I can be bribed with chocolate too. And I started writing later in life too. Sage is such a great character and has such a great voice. He always has a smart aleck response, especially when he’s talking to Conner who literally has Sage’s life in his hands. How did you create his voice and what tips do you have for the rest of us on creating characters’ voices? Sage came to me as a nearly complete character, and writing him was more about letting his personality unfold rather than me creating anything. He still remains a powerful voice in my head, nagging me about certain plot points I’m working on, or even making comments on everyday events. A song came on the radio the other day while I was driving and I thought, ooh, Sage would hate that song. I think for writers, one of the tricks for developing a strong voice in characters is to give them a passion; something or someone they love so much that they will fight for it, yearn for it, and commit any number of plot enhancing acts to obtain it. 3. That's great advice to give your characters a passion. Because most of us have our passionate interests too. THE FALSE PRINCE is full of deceit, political intrigue, and twists I didn’t see coming. Tell us a bit about how you plotted out the story and weaved this all in. The basics of the story were in my mind for a long time, but I could never find the right protagonist to carry the weight of the plot. I found Sage in the lines of an Eddie Vedder song called “Guaranteed.” It said, “I knew all the rules, but the rules did not know me. Guaranteed.” That line brought to mind a character who knew exactly what game he was playing, and yet he is part of a game in which the rules are very quietly changing. Once I had Sage, every twist of the story I had wanted to tell quickly became clear to me, and I almost couldn’t write it fast enough. 4. That line is totally Sage. I hope someday to have a story I can't write fast enough. That must be such a fulfilling experience. Unlike almost any other YA book I can think of, your book is mostly centered on guys as the main characters—Sage, the two other orphans Tobias and Roden, Conner the nobleman that traps Sage, his servants Cregan and Mott. This should definitely appeal to guys. What were the challenges in writing about a mostly male-dominated world? I didn’t think about it being a “boy story” – it was just the story that was there to be told. Because of that, I didn’t see this book as having special challenges unique to any other book. I tried to stay honest in the ways each character would behave, according to their personality and goals, and I think Sage has a great chemistry with both his friends and his enemies. There are two strong female characters in the story: the beautiful princess Amarinda, and Conner’s spirited kitchen servant, Imogen. They’re both very important to Sage’s continuing adventures through the rest of the series. 5. Yes, I loved them both too and am glad they'll be back. But I also think it's great your story is told from a male POV.. This isn’t your first book. Your debut book, ELLIOT AND THE GOBLIN WAR, the first book in the UNDERWORLD CHRONICLES series, is a middle grade book and you have two other books in that series. 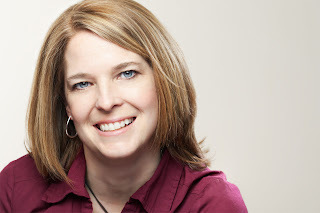 What are the different challenges in writing a YA versus a MG book? I think whatever you’re writing, it’s very important to know your audience. As readers age and mature, there are great differences between how heavy of a theme they can tolerate, what sorts of things they find funny, how strong the romantic threads of the story are, and so on. I’ve worked with children for nearly my entire adult life, from toddlers in day care all the way up to high school students. When I was writing, I kept very firmly in my mind a picture of who I expected to be reading the book and drew upon my experiences to focus on that age. 6. Your agent is Ammi-Joan Paquette. Tell us how you found your agent and any advice for the rest of us on finding an agent. Joan and I came together in a less traditional way. I had submitted ELLIOT AND THE GOBLIN WAR to another agent who asked for a major rewrite before he committed to signing me. I had some questions about what I should do and posted them to a group writing list. It turns out Joan was quietly lurking on the list, and when she saw my summary, she emailed me and said that if things didn’t work out with this agent that she’d be interested in reviewing my manuscript (hint: this is why writers must always be careful about what they say in public forums. Had I been complaining about this agent, or the burdens of a rewrite, I doubt that would’ve gotten a response from Joan). I looked Joan up and although she was a new agent, she was with the highly respected Erin Murphy Agency, so Joan went to the top of my list. The agent who had requested the rewrite ended up turning me down, and almost instantly the revised manuscript went to Joan. She loved it, was enthusiastic and energetic, and moreover, seemed to totally connect with the direction I wanted to take my career. She has been absolutely wonderful, a better agent than I ever could’ve hoped for, and in her career thus far has already made some fabulous deals for her clients. 7. So true you have to be careful what you say on the Internet. And be open to a great experience of a lurking agent liking your work. I read that several publishers were interested in THE FALSE PRINCE. Tell us a little about that and what made you choose Scholastic as your publisher. In its initial round of submissions, THE FALSE PRINCE went out to six publishers, any of which would’ve been a wonderful home for the book. Lisa Sandell at Scholastic was the first editor to get back to Joan, but because of the various travel schedules for the acquisition team, she asked for a little more time before she could offer on the book. I already knew Lisa’s excellent reputation as an editor, and Scholastic was at the top of my dream publisher list. By the time Scholastic put in its offer, three other publishers had also made offers. Joan gave notice for an auction the following day, and I went sleepless that night. Lisa immediately contacted Joan to say that Scholastic did not want to lose this book and they negotiated a pre-empt deal. Working with Lisa and the rest of the publishing team at Scholastic has been an amazing experience. They do everything at the highest quality and I couldn’t imagine a finer publishing home for THE FALSE PRINCE. 8. I know we all dream of having an experience like that. What have you learned about marketing effectively from your experiences marketing four books? Is there any difference between marketing a MG book versus a YA book? Shortly before ELLIOT AND THE GOBLIN WAR was released, I received a valuable piece of advice from Erin Murphy about marketing. She said that once a book goes to the final manuscript stage, 90% of what happens to it afterward is out of our control as authors. Certainly there are things we can do to generate enthusiasm for a release, to spread word about the book, and to promote ourselves as authors – all of that is important. But there is so much we can’t control: the look of the cover, the way the publisher’s marketing team positions the release, reviews, bookstore orders, and shelving decisions. So Erin’s advice was to put the bulk of our attention on the one aspect of our careers that we most control – which is to write the very best book we can. And once it’s in the publisher’s hands, to start on the next book and to write it the very best we can. I’ve tried hard to follow that advice. I’ll do things to promote my books, but the priority of my time is always on writing the next. 9. It's great advice and great as a writer to see that this is one area of being an author we can all control--writing. What are you working on now? I’m just getting started on Book 3 of THE FALSE PRINCE series, and so excited for the way things are coming together. I’m also going to write the sixth book of the INFINITY RING series, a new multiplatform series from Scholastic, but there isn’t much I can do on it until later this year. However, there is lots of research to be done, and I can hardly wait to dig into that story. I think kids are going to love that series, so I definitely want to get it right when it’s my turn. Thanks Jennifer for all your great advice and agreeing to an interview on such short notice. I can't wait to read book 2 in this series. You can find Jennifer at her website. Scholastic generously offered a copy of THE FALSE PRINCE for a giveaway. All you need to do is be a follower (just click the follow button if you’re not a follower) and leave a comment by midnight on April 21st. I’ll announce the winner on April 23rd. If your e-mail is not on Blogger, please list it in your comment. International entries are welcome. 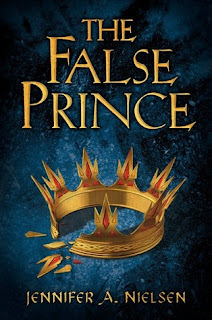 One of the things that I love about THE FALSE PRINCE is that I've seen it described as a YA book, which is how I see it, and a middle grade book. So I'm linking it Marvelous Middle Grade Mondays which was started by ShannonWhitney Messenger to spotlight middle grade authors. Check it out here. Here's what's coming up. Next Monday I'm interviewing Ruth McNally Barshaw, an author and illustrator, and giving away two books in her Ellie McDoodle series. It's a great series and her illustrations just add so much to the novels. Her fourth book in this series is just coming out and as an experienced author, I'm sure she'll have lots of great advice for us. The following Monday I'm hoping to have a panel of high school kids for my ASK THE EXPERT series and will also be giving away 2-3 popular YA books. I've won a lot lately and I want to pass them on. On Wednesday that week, Casey is interviewing Jenny Sanchez-Torrez and giving away an ARC of THE DOWNSIDE OF BEING CHARLIE. Thanks for introducing to Jennifer and her book The False Prince. I like the advice from Erin Murphy. Thanks for the interesting interview. The books sounds great (ringing endorsement from Natalie!) and I liked learning about the agent/publishing experience. Congrats to Georgette. I've got this book on my to-read list. Great interview. Congrats to the winner! I've definitely had my eye on The False Prince. I love this genre. The story sounds fantastic, and I love how the protag came through the lines of a song! Thank you for sharing your journey, Jennifer. Ohh! Loves the cover :D And it seems like an awesome book. Thank you so much for the interview and giveaway :) I follow your blog via GFC as Carina Olsen. Thanks for sharing your advice and book with us Jennifer. I can't wait to read book 2. Thank you for the interesting interview and giveaway! The False Prince sounds fantastic. Another great read to add to my wishlist! Great premise--I like how the fantasy is a good ol' fashioned kingdom. You know? What a great interview--the part about what Erin Murphy said about her continuing to write the best book she can--that's not something you see that often, but I believe it is THE most important thing we need to remember! I finished reading The False Prince last week. It was fabulous and did remind me greatly of Eugenides from The Queen's Thief series. I'd love to have a copy to put in my school library. I mentioned this giveaway on my blog http://geolibrarian.blogspot.com. That's one of the most in-depth interviews I've seen in a while. Info about the book, the author, the characters and the publisher. Well done. What a thorough interview--have heard amazing things about this book. This book sounds wonderful. And what is it about writers from Utah? Is there something in the water? Thanks for sharing this new series. It sounds interesting. I will check it out! I thought her name sounded familiar - an agency sister of Jennifer's recommended Elliot and the Goblin War to my 11-year-old son and he really enjoyed it! I'll have to check this one out, too! Thanks, Natalie! I have Elliot and it's HILARIOUS!!!! I'm dying to read this new one. This sounds like a book my 12 yo would be interested in, as long there is only minimal romance. He's not big into romance. Surprise. Surprise. Thanks for the chance to win this! It sounds awesome. I'd love to read this - I love the there is a male protag! Where have all the boys gone? :] Thanks for the interview! It sounds awesome, and I definitely want to enter! I've heard marvelous things about this book. I'm eager to enter the contest. Love the premise of The False Prince. I so want to read this one. My daughter and I attended a class she taught on characters at Writing for Charity, last month. Thanks for the interview and giveaway! Such a nice interview! I love the fact that you also talked about agents. And the book sounds great! congrats! Congratulations Jennifer! What a terrific book and one with a voice inspired by a song. I love how both your story and your writer's journey is being spun. Keep it up! Wow. Unorthodox way of finding an agent AND getting to the point where an auction was to be held to get a publisher. Of course, The False Prince sounds like it deserves it! Most intriguing! I'm super excited to read this book! I almost bought it the other day when I was in BN but held off. Thanks for this giveaway. also, can we tweet once a day or just once? Sounds very interesting! Thanks for another fabulous interview! Oooh... I've heard of this before around the internets and so want to read it... now even more! I'd LOVE to win this book! Thanks for the great interview. Very excited by all the great buzz for The False Prince! An inspiring reminder to focus on what we can do best - write the next book! OMG!! I am so excited to read The False Prince!! I've been dying to get my hands on it since August!!! What a fairy-tale publication story. I love it. And it makes me want to read The False Prince even more. I love Jennifer's comments about voice too. Those usually end up being the books I love, where the character rings completely true. The False Prince sounds like a book that shouldn't be missed. I look forward to reading it and will mention it on Facebook! This sounds like a book that would be difficult to write - you have to be careful to not mix up the characters. First there's the nobleman, Conner, and Sage along with the other three characters competing for the role of prince. It must have been well-written because it doesn't seem that the reader will be confused! Congratulations! I would love a chance to win the book and see for myself. I LOVED this book! Great interview. I missed out on the MMGM posts this week, my son has been sick. Great interview, I would love to read this book. Please enter me in the contest, thanks. I love any book about fantasy royalty. Makes me want to be a princess!! I've heard SO many great things about this book and I can't wait to read it. It sounds like just the kind of thing I would enjoy. Also, I totally agree on giving your characters passion. That's what often makes them feel real and human to me. Thanks for the giveaway! Thank you so much for giving away The False Prince! Gorgeous cover!! Fingers crossed! I can't wait to read The False Prince! I'd love a chance to win a copy. I've heard so much about this book, I'm excited to read it! And I loved reading the story of how it came to be published. Thanks for offering this giveaway! Great interview, great cover, great premise... Oh, I could go on, but I think I'll just take a stroll to the bookstore. So excited for another promising book to add to my to-read shelf! I'm looking forward to reading new books in May once the spring semester is over. I love trilogies, complex kingdom drama, and a refreshing male POV. I hope this lives up to all the positive hype! Advice about focusing on the next book instead of publicity was what I needed to hear right now. Posted this on my Facebook page and tweeted. Great interview and wonderful advice. I can't wait to read The False Prince. I'm heading over to goodreads to add this to my TO READ list. I love the synopsis. Sounds interesting. I just purchased a fundraising coupon from my favorite children's bookstore. I think I'll use it on The False Prince. Loved the interview!! I have had this book on my TBR list and can't thank you enough for the chance to win a copy!!! Wonderful interview! I can't wait to read this book, it looks fabulous in every way.